High quality shades, drapery and window treatments add fantastic value to any home. 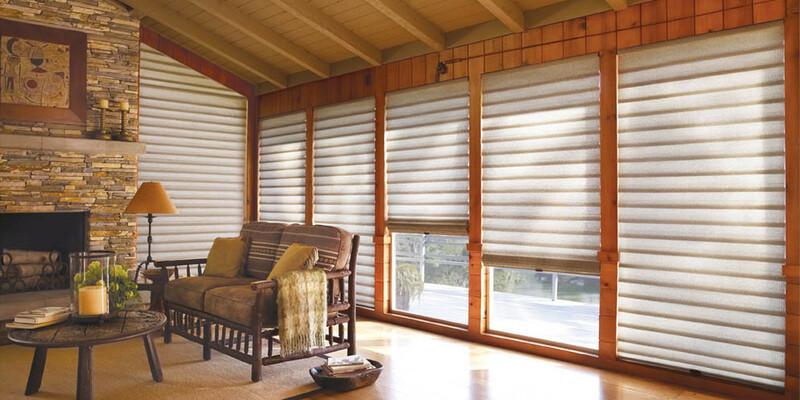 Shades enhance the lighting, aesthetics, and security throughout your entire house. When you chose Dream Technologies to install your shades control system, we provide you with an elegant and efficient solution that allows you to control the mood of your living spaces. Shade control allows you to quickly and effortless regulate the amount of sunlight in a room to prevent harsh U/V rays from damaging expensive furniture and other sensitive items in a room. With the single touch of a button, you can automatically set the shades of your whole house to reduce sunlight and ensure your privacy. Dream Technologies is dedicated to work with you, your contractor, your designer and everyone involved in the construction or renovation of your home to make sure we create just the right shades system for your needs. Our philosophy emphasizes functionality and simplicity so that the entire family and guests can easily use your system. Dream Technologies can integrate your shading system into your whole home system allowing for a control device, such as an iPad or a handheld remote, to control everything at once. We offer a family of controllable shading products including roller shades, Roman shades and drapery track systems. All systems operate with ultra-quiet precision, low-voltage drives. We offer many options for fabrics and controls. Dream Technologies, Inc. allows interior designers, architects, builders, and homeowners to utilize a custom-built shading system with various configurations and fabrics that are suited to their specific application. Lutron roller shades create the perfect light for any space or activity with an offering of sheer, dim-out, and blackout fabrics. Choose a sheer to maintain view whil[e diffusing UV rays that may damage furnishings. 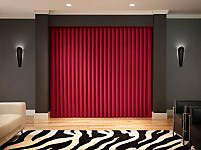 Dim-out fabrics provide privacy while blackout fabrics are 100% opaque to eliminate all daylight. An industry first, the Kirbé vertical drapery system smoothly pulls fabric up and completely out of the way – unlike traditional draperies that move from side-to-side. This unique design provides greater access to windows and views by eliminating the creation of stack back. The angular design of pleated shades adds a crisp, modern look to any space, and the wide array of fabric options ensure a signature look. Roman shades lend an air of sophistication to any space while managing daylight. With over 100 fabrics and woven woods available in a variety of pleat styles, you are sure to find the perfect aesthetic match. CERUS (Cord-Eliminating Roman Uptake System) provides a safer, more reliable and better performing Roman shade. Fashion honeycomb shades add dimension to a space thanks to their cellular design, and their air pockets trap heat to provide superior insulation. Tensioned shades provide solutions for skylights, bottom-up, and angled windows. The innovative design keeps fabric panels taut and parallel to windows with minimal sag at a variety of slopes. Lutron tensioned shades reduce light gaps around fabric, and maximize the view when opened by eliminating cable guides that are typical in skylight shades. 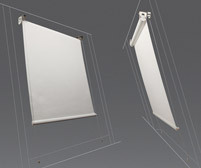 The frame may be surface mounted, inside mounted, or recessed while still allowing easy access to update the fabric. Cable guided shade systems can be used to achieve precise shading control in angled applications by keeping roller shades at the exact angle of the window. The system is also useful in areas of high velocity airflow to prevent unwanted shade motion.